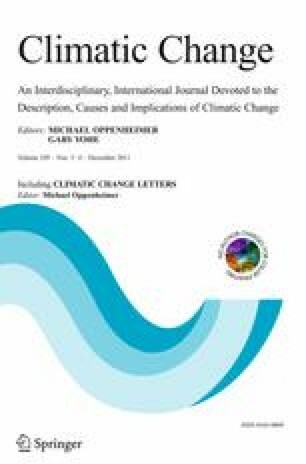 A survey documenting how climate change is perceived and responded to by Canadian mine operations was administered to a random sample of practitioners working at mine sites across Canada. Key findings include: (1) Mines are sensitive to climatic hazards; (2) There is concern about climate change among mine practitioners, but the majority have not yet noticed climate change to be affecting operations; (3) Future climate change is expected to have negative impacts for mine operations; (4) Mines are responding to climate change mainly through efforts to reduce greenhouse gas emissions but also through adaptation, although to a lesser degree; and (5) Knowledge of future climate change projections and impacts is limited, potentially constraining understanding of the nature of climate change risks. The survey compliments previous work documenting perceptions among upper level management on climate change in the Canadian mining industry. The results from both surveys are largely consistent, establishing that the mining sector perceives climate change as an emerging risk and is developing response options, but needs to invest more time and resources for adaptation to what are inevitable changes in climate. The results support the need for targeted in-depth research to assess the vulnerability of mining to climate change and to evaluate response options.